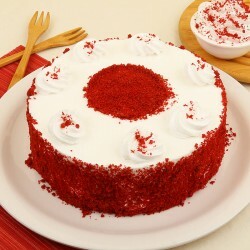 Is the one you want to send a cake on a vegan diet? 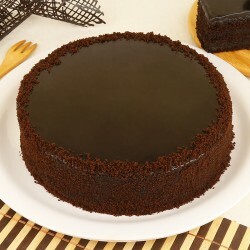 Or just prefer eggless cakes? 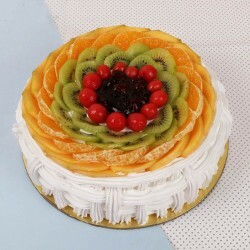 You can simply shop for our eggless range of cakes available online in varied flavours viz. Pineapple, Truffle, Butterscotch, Coffee, White Forest, Red Velvet, Black Forest, Strawberry, and so much more? Are you someone who loves to surprise people with a wonderful gift on a special occasion? 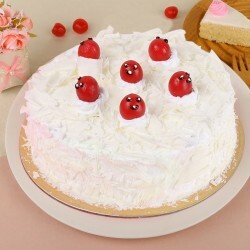 If yes, then you can now add a feather to your cap, and surprise the special people in your life by sending a cake from our range of eggless cake online. 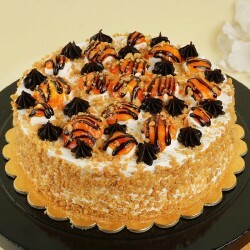 Delicious, creamy and luscious bites of delight; cakes are one of the most indulgent kind of gifts for an occasion. 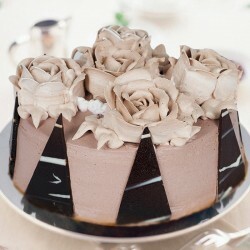 Birthdays, anniversaries, Valentine's, Father's or Mother's Day, cakes make an ideal present for all occasions equally. At MyFlowerTree, we very well know that every occasion and every taste is not the same, which is why we offer a range of cakes to suit all palates. 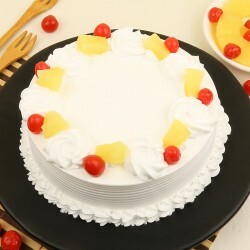 Our eggless cake range includes vegetarian cakes, and come in a range of flavors like eggless chocolate cake, rainbow cake, fresh fruit cake, etc. Our eggless cakes are just as beautiful to look at as they are to taste - soft, spongy and delightfully consistent; our cakes will just melt in your mouth! If you are meeting your relatives after a long time, a grand celebration must be on the cards. 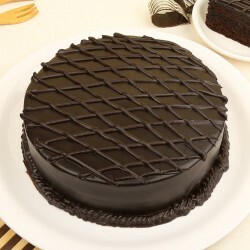 As tastes and preferences of your relatives, ordering an eggless cake is always a safe bet. 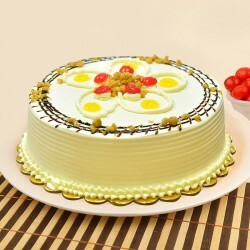 To add joy and happiness to your family gatherings, you can order eggless cake online on MyFlowerTree. 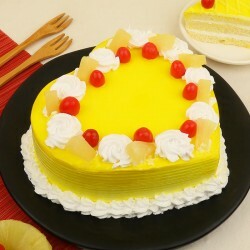 We have a range of eggless cakes in various flavors like chocolate, fresh fruits, vanilla, pineapple, red velvet, etc. The same goes for occasions like farewell parties, team celebrations, etc. As a group would be having people with different tastes and different food preferences, hence ordering something which both vegetarians and non-vegetarians would relish, is better. 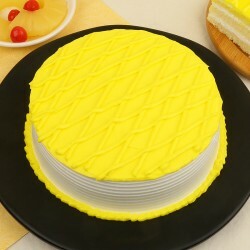 So, for occasions like these, ordering an eggless cake is what you should do. There's one thing that's crystal clear by now - cakes and celebrations go hand-in-hand. 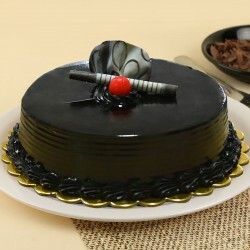 Every occasion or event calls for a celebration, and celebration without something sweet is incomplete. 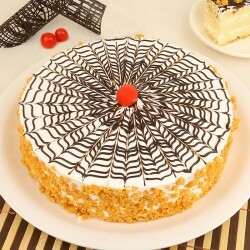 Be it a festival like Christmas, birthday or anniversary party, or any other celebration like a retirement or farewell party - there's one thing that is usually common to all these occasions ' the presence of a delicious mouthwatering cake! 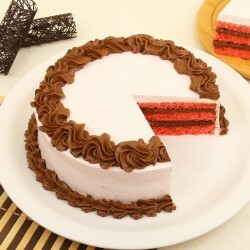 We all love eating cakes on occasions or otherwise, right? 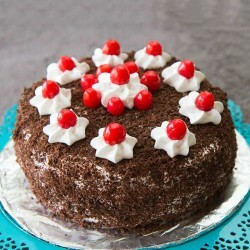 So, add to the occasion by ordering an eggless cake online at MyFlowerTree! Sometimes we are so occupied with our busy routines that we often forget important days of our life. To take care of all such times, and to help you surprise the special people in your life just at the right time, we offer express delivery on all our products, from eggless cake delivery to bouquets and gifts. A beautiful cake, fresh and readymade, delivered to the venue just at the right time, can bring a smile to a loved one's face. Won't you agree? 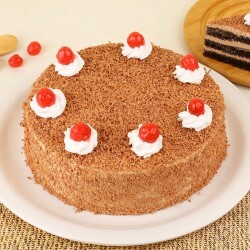 While you order eggless cake on our website, don't forget to browse through the other gift sections as well. We offer a range of gifts, from flower bouquets to cakes and gifts. You can even add a touch of personalization to your gifts with customization options on our website. 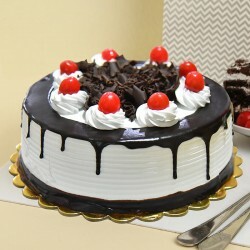 With our fixed time delivery you can send cakes online to Bangalore, Chandigarh, Gurgaon, Ahmedabad, Pune and many other cities. 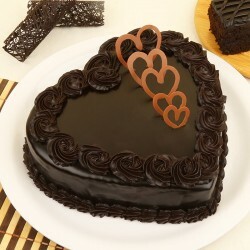 So, send your love to your loved ones in the 'sweetest' way possible!